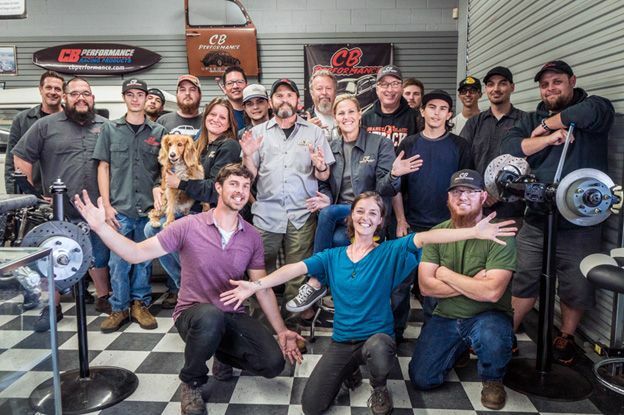 Kombi Life Crew meets CB Performance! BUILDING AN ENGINE TO GO AROUND THE WORLD - WATCH NOW! WHAT'S INSIDE: THE ULTIMATE AIRCOOLED ENGINE - WATCH NOW! "TRIALS BY FIRE WITH AN AIRCOOLED VW!" We all love our Aircooled Volkswagens, however most of us will admit that keeping them in tip-top condition requires a certain amount of dedication and commitment, but for some people that dedication goes to a whole new level! 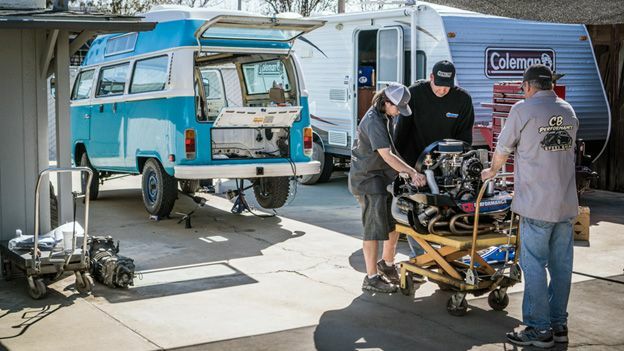 We recently had a visit from The Kombi Life crew who called into CB Performance HQ in Farmersville, CA after completing an incredible 6-year overland expedition from Chile to Alaska in their Aircooled 1992 South American Kombi. The adventure, which was called Hasta Alaska, wasn’t your typical road trip. Ben Jamin, founder of Kombi Life, said that he had initially intended for the trip to take just 12 months, but the road had other ideas. The Hasta Alaska project was aimed at sharing the experience of adventuring on the road less traveled with people around the world via an immersive travel series which played out through 63-episode installments on the Kombi Life YouTube Channel. 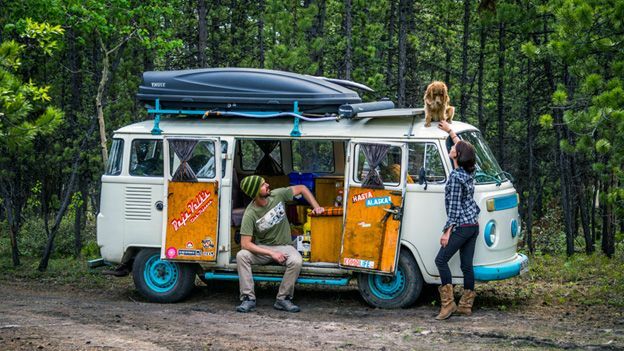 Ben set out to share his Chilean registered Kombi with not just the people watching at home, but also with hitch-hikers and travelers that he met on the roads of South, Central and North America. Dropping off 6 hitch-hikers in Colombia at the top of the South American continent. Joining Ben at CB Performance was Leah, who is now his partner both in front and behind the lens. Leah originally met Ben and his sidekick “Alaska” (a Peruvian-street-dog-turned-world-explorer) in a tiny town in Mexico on their way north and since that fateful day the three adventurers have been road tripping all the way to the last stop on the Pan-American Highway – The Arctic Ocean, Alaska. Those of you who have watched the Hasta Alaska Travel Series will know that it wasn’t always a fun adventure. During the journey they overcame a tragic fire, where they lost all their possessions and had their tiny VW home destroyed. However, that is only half of the story! On this single road trip, Ben went through several engines, having to remove and rebuild their failing Type-1 aircooled motor a staggering 11 times over the course of their journey! He spent over 12 months living with various ‘VW Mechanics’ trying to learn how to keep his aircooled engine alive! “I’ve learned a lot about aircooled engines over the years, and I’ve learned the hard way; but I still think there is more to be learned” said Ben, reflecting on his past adventures. 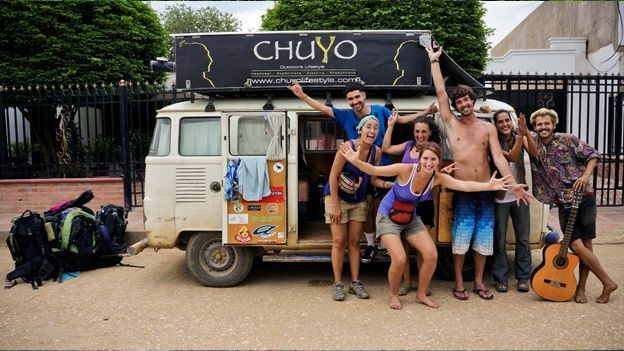 In 2017 Ben, Leah and Alaska gave away the keys to their famous South American Kombi by randomly selecting one of their subscribers to be the new owner. Now, team Kombi Life are preparing to embark on an even bigger expedition and they've created a travel series about driving an aircooled Volkswagen all the way around the world! 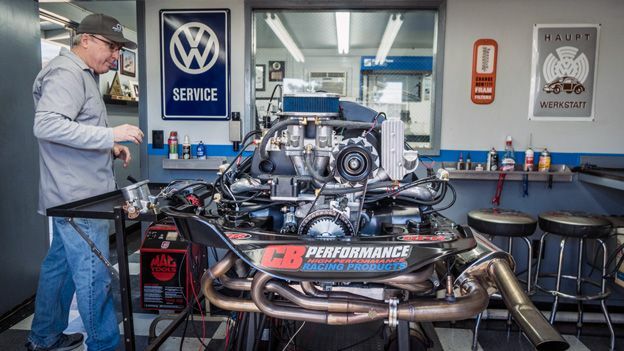 So, they came to speak with us here at CB Performance to learn how to keep an aircooled bus alive, and what type of aircooled engine would be best suited to this extraordinary challenge. How To Really Keep An Aircooled Engine Alive! As mentioned above, with the Kombi Life example, excessive heat and load are the two main enemies of an aircooled engine. Reducing the weight of your vehicle to the bare minimum will go a long way towards proving more miles between wrenching, and ensuring that you never run your engine when it is overheating will help you to avoid many major disasters. One of the simplest and most effective ways to ensure this is by installing after-market gauges, so that you know exactly what is happening with your engine. Keep in mind, by the time that you smell a hot engine you are already doing damage. The Cylinder Head Temperature (CHT) gauge gives the first clue that the engine is getting hot and working hard. Knowing this information will allow you to reduce the engine load before any damage is done. As we say here at CB Performance, not all cylinder heads are made equally. Selecting the right cylinder head for the application is essential. Our Panchito 044 heads, for example, allow for significant increased performance over a stock VW head, while allowing for increased airflow to keep the motor running cool. While the top-end of an aircooled engine is primarily cooled by the fan blowing air over the cylinders and heads, oil also plays a vital role in cooling the heart of the engine, the crankshaft and bearings. It’s the oil which provides the necessary lubrication and heat dispersion for the crankcase internal parts. Vintage VW aircooled vehicles are equipped with a stock oil pressure gauge (aka idiot light) which illuminates when the oil pressure drops below about 5-7 psi. If you see this light, you must stop and cool off the engine IMMEDIATELY, catastrophic engine failure is literally seconds away! For this reason, it’s a good idea to upgrade to a dual circuit pressure switch and run an oil pressure gauge in the dash so that you can see falling oil pressure before the idiot light illuminates. Around 35-40 PSI is the expected oil pressure at highway speeds, while over 20 PSI is considered good for a warm engine at idle. Another easy and worthwhile upgrade is the addition of an oil temperature gauge. Ideally, oil needs to get hot enough to burn off water and other impurities, which begin to happen at around 180° F (82° C). Keeping the engine oil below a max of 220° F (104° C) will mean your engine is never hot and you won’t run the risk of the oil losing viscosity and subsequently it’s ability to cool the crankshaft bearings efficiency. Tin wear and engines seals – To keep the air flowing efficiently in the direction it should be (i.e from the exterior, down the rear air vents, into the cooling fan and out over the cylinders and heads), all tin wear and seals must be present. Depending on the number (and competence) of mechanics who’ve handled your motor over the years, you may be missing parts of this vital, and often over-looked function of the cooling system. Ensuring that you perform maintenance at regular intervals is vital for the health and longevity of an aircooled engine, here are the basics you should always achieve. A higher volume oil pump can be fitted to replace the stock pump and one of the best modifications you can make is adding an inline oil filter, which should be replaced every oil change or cleaned every oil change if it is reusable. Also, a larger sump allows for more oil to be added and when combined with an external oil cooler, this can be very effective at extending the life and service of the engine if regions where the ambient temperature regularly reaches 90° F (32° C). SPARK – Replace spark plugs every 10,000 miles, check points gap, contacts on spark plug wires, distributor cap and rotor every 3000 miles – always carry spares. FUEL – Replace fuel filter every 6 months, check and replace fuel lines every 2 years. Fuel problems don’t usually kill an aircooled engine, unless of course the hoses fail, a leak happens, and a fire starts. Not all hoses are made equally; we recommend that you use only the best quality fuel hose and always check both the hoses and the clamps as part of your routine maintenance. *Maintenance intervals should be increased if you are in a dusty area or driving off road and in harsh conditions. What Aircooled Engine Would CB Performance Recommend for Driving Around The World? 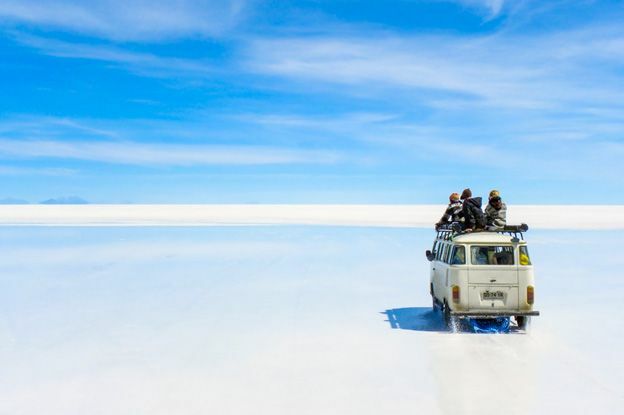 CB Performance is proud to be sponsoring the Kombi Life Round The World Travel Series and we’ve taken on the challenge of building an engine for this incredible expedition. The nature of this journey is extreme, however the requirements for a suitable engine are very similar to what the majority of classic VW drivers are looking for. In this instance longevity and reliability are far more important than brute power. 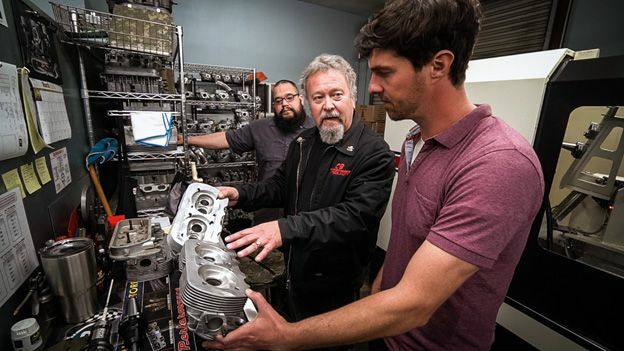 Ben and Kevin discussing which cylinder head would give the best performance and still run cool. That said, Kombi Life may not need a 250HP power plant, but some increased power over the standard 1600cc would be desirable to help with the heavier loads typically seen on these camper vans. 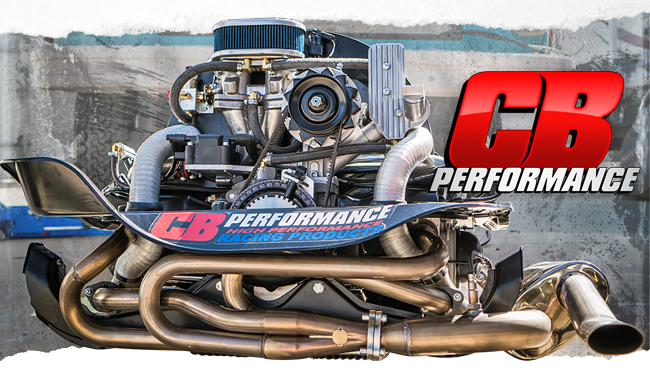 Because reliability was more of a concern than raw power, we here at CB Performance recommended a 1776cc Type-1 Engine with Panchito 044 Heads. This configuration, which features a balanced DPR Machine Crankshaft and CB Performance Uni-Tech Connecting Rods, allows the engine to maintain the stock stroke of 69mm, which will help with the longevity of the engine, particularly in high-mileage applications. Pat Downs making the final adjustments before sending this 1776cc Gen4 EFI engine around the world! A lower compression ratio of 7.5:1 was set to help with the lower quality of gas that might be encountered in developing nations. Lightweight chromoly pushrods were selected and lighter valve spring to reduce the wear on the valve train and a slightly heavier flywheel was used to help with inertia of the heavy Kombi Life Bus. To fit the engine into the Type-4 engine bay of the Kombi Life 1973 Baywindow Bus, a Type-4 Tin-ware adapter kit was used, and the A-1 Sidewinder Stainless Steel Muffler chosen for increased durability. To deal with the problems brought about by extreme temperature environments, additional steps can be taken to help keep the engine cool. We would recommend retrofitting a large capacity CB Oil Sump and an External Oil Cooler with an electric fan to keep those all-important oil temps within the critical operating range. This 1776 could be run with either a single carb for simplicity, or a dual carb set up, which offers increased performance but with the trade-off of being slightly more complicated to tune. For maximum power and efficiency this set up can also run with our Gen4 EFI system, this is the configuration that has been selected for the Kombi Life Expedition and on the dyno this engine reached an impressive 96 HP, while remaining super cool even while climbing a steep grade. We’re excited to see where this engine takes Kombi Life on their adventures and wish Ben, Leah, Alaska the Dog and Boomerang the Bus happy travels on their long overland journey towards Australia! Follow-up video goes Public on January 31st at 12-noon!